"Dogs And Cats, Lying Down Together! Dept. In case you're having trouble walking today, it might be because the Earth is spinning in reverse.And that's because ... wait for it ... the two top lawmakers on the House State Government Committee actually agreed on something, our pals at Capitolwire report this morning. 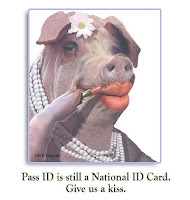 Chairman Daryl Metcalfe, R-Butler, and ranking Democrat Babette Josephs, D-Philadelphia, both voted in favor of legislation that bar the state from participating in the provisions of the federal REAL ID Act, Capitolwire reports. " BTC -Good luck and congratulations to Jim Compton and the guys over at NVCCA & RTR.com. 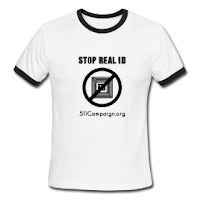 Bob Barr's 501c3 Liberty Guard & The Rutherford Institute issued statements of support against the national implementation of Real ID. NCard.info posted this quote from Michael Chertoff, former DHS Secretary under George W. Bush. Another great moment in Real ID history. BTC- How many times and ways do we have to say it? It's not news that the Chertoff Firm isn't listening to anyone but their business partners, but in all fairness they have their perspective too. Mother Country:The perils of getting an assist abroad on having a baby—for Americans and foreigners both. CDT asks (rhetorically) How Congress Should Tackle the Drone Privacy Problem? CDT's background on Drone rules here. NSTIC: "Sovereign-source Vs. Administrative Identity"